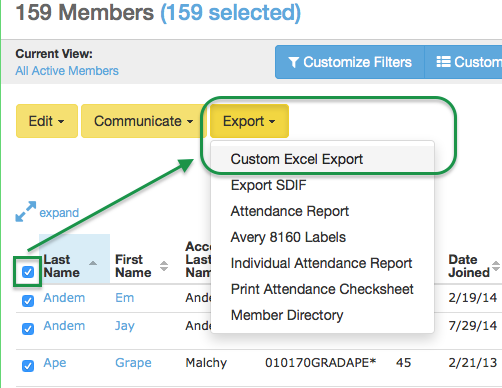 These steps will allow you to export accounts and/or members to a spreadsheet. Set any desired filters using Customize Filters and click Done. Check the box next to the “Last Name” column header to select all. 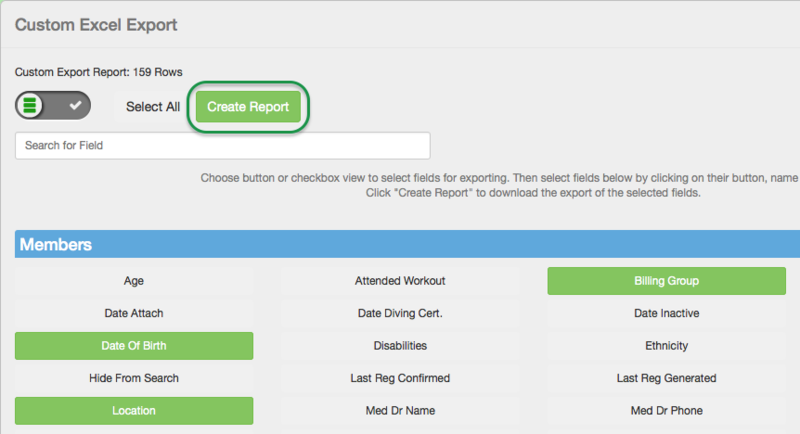 Select any fields you want included in the spreadsheet. You can include fields for both accounts and members. Open the XLS spreadsheet in Excel or your favorite spreadsheet program.